You are here: Products Rep Rubber Hex Dumbbell Set with Racks, 5-50 Dumbbell Set with 1 Rack, 5-75 Set with 2 Racks, 5-100 Set with 2 Racks, 55-75 with 1 Rack, 55-100 with 1 Rack, 80-100 with 1 Rack, or 105-125 with 1 Rack. 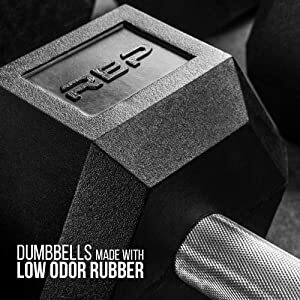 Made from premium low odor rubber, our dumbbells are a classic rubber coated hex dumbbell design that is quiet and easy on your floors, and superior to others on the market. The chrome plated handle is straight and fully knurled for maximum grip. 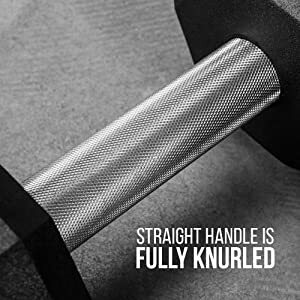 Unlike slippery “ergonomic” handles that only have knurl across part of the handle surface, our full knurl gives you a secure grip on the dumbbell at any weight. This feature is usually only found on premium “pro-style” dumbbells costing more than twice as much as ours. Use for isolating muscle groups during curls, tricep extensions, and presses as well as more complex movements like dumbbell snatches and Turkish get-ups. 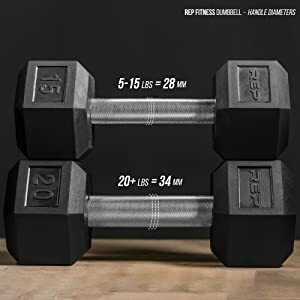 More convenient and durable than an adjustable dumbbell set, a rubber hex dumbbell set can last a lifetime and is a great investment in your health. A rubber dumbbell is great for a huge variety of exercises, and never goes out of style. 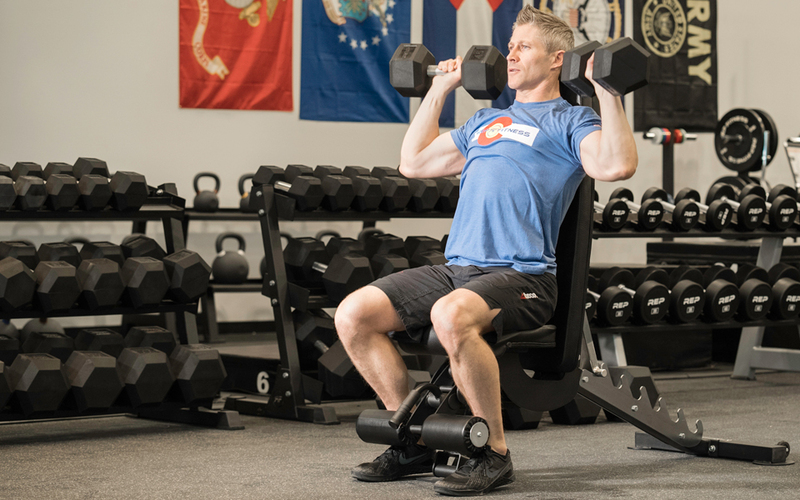 A staple in many strength and conditioning programs, dumbbells allow you to develop real world strength by moving heavy objects in your hands. It doesn’t get any simpler. Shipping Information: Product will ship via Freight truck, which means there must be a valid phone number with the order and the shipping address must be accessible by a 40′ semi-truck. You must be available to make a delivery appointment during the week. If your home is inaccessible, we recommend finding a business address that will accept it. If the freight company is unable to reach you via phone, there may be additional charges incurred for storage and/or return shipping. Hex dumbbells are a staple for home gyms and commercial gyms because of their versatility and effectiveness. With a good set of dumbbells you can target every major muscle group and build real-world strength quickly and safely. We offer a full range of rubber coated dumbbells for home gym and commercial use. Whether you just need a pair or two for your garage, or a whole set for your new box gym we’ve got you covered. See our other listings for dumbbell packages that will save you money! 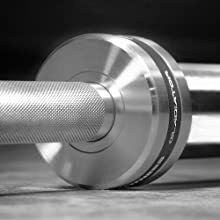 Our straight handle, fully knurled dumbbells let you grip and lift with confidence, unlike the competition. Cheaper dumbbells have “ergonomic” handles that only have knurl across part of the surface, but our full knurl gives you a secure grip on the dumbbell at any weight. We use a special low-odor rubber compound that protects the dumbbells and your floors from damage, and keeps things quiet when you workout. Rubber coated heads are securely press-fit and friction-welded to the handle. Weight is accurate to within 3% for 25 lb and under, 2% for 30 lb and above. 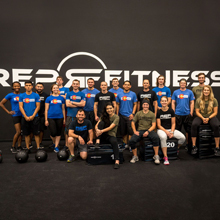 Rep Fitness is a REAL fitness equipment company based in Colorado! Not only do we make great gear, but we use it too! We never cut corners on quality and never will. 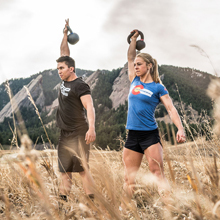 Our gear is designed for modern training regimens and will stand by you on your hardest day. Getting a PR is hard, but getting great gear shouldn’t be. 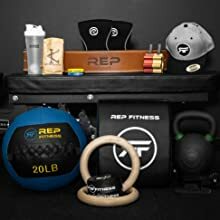 We carry a full line of modern fitness gear from adjustable benches to kettlebells. Our mission is to provide high value fitness equipment with Trust, Expertise and Innovation. Buy with confidence knowing that we use the gear ourselves and stand behind it 100%.